Juice the grapefruit with a citrus juicer. 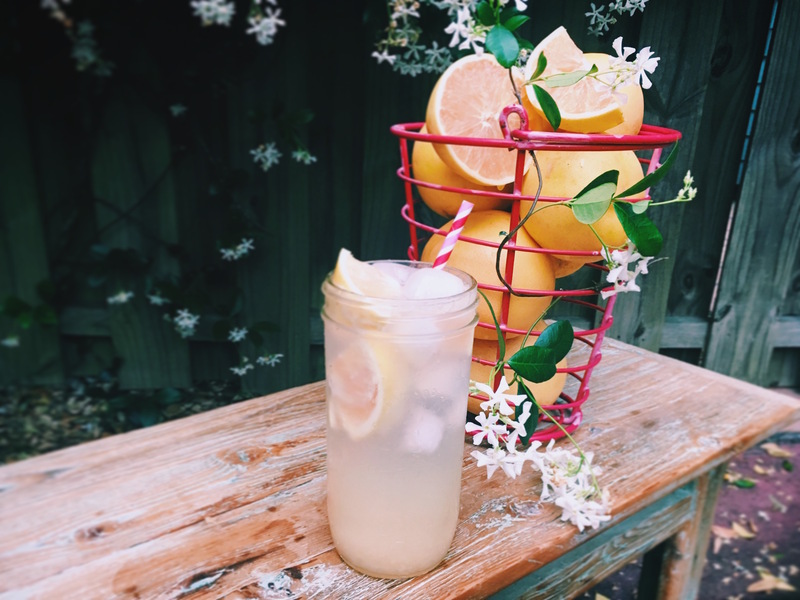 In a mason jar, mix grapefruit juice and stevia together. Slowly add in seltzer leaving room for ice. Add desired amount of ice, stir slowly with a straw and enjoy!